Ever since their Space Shuttle program was forcibly shut down in 2011, NASA has been forced to look to the private sector to restore their ability to put human beings into orbit from American soil. This consists of providing the seed money needed for companies to develop a new race of “space taxis”. 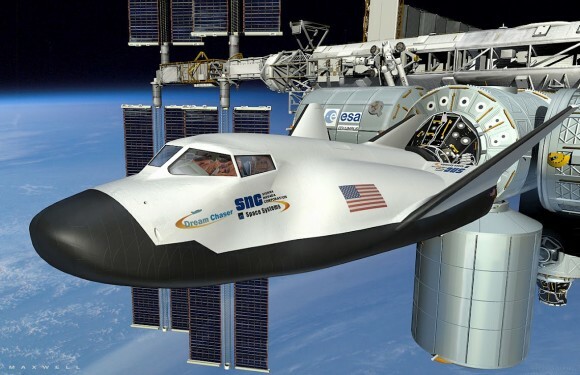 One such program is the Dream Chaser, a reusable shuttle that will fly astronauts into low Earth orbit (LEO) and to the International Space Station (ISS). Much like a standard Space Shuttle, the Dream Chaser is designed to launch atop a United Launch Alliance Atlas V rocket and land on a shuttle landing facility. 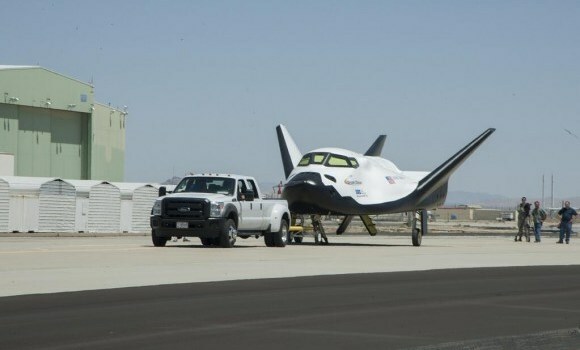 And after lengthy periods of research and development, the Dream Chaser is now moving forward with a series of ground tests at NASA’s Dryden Flight Research Center in California that will soon lead to dramatic aerial flight tests throughout 2013. This consisted of putting the shuttle together and then conducting a series of what’s known as “Pathfinding tow tests” on Dryden’s concrete runway. The purpose here is to validate the performance of the vehicles’ nose skid, brakes, tires and other systems to prove that it can safely land an astronaut crew after surviving the searing re-entry from Earth orbit. For the initial ground tests, the ship was pulled by a tow truck at 16 and 32 km/h (10 to 20 mph). Later this month, the next leg of the test will consist of towing it up to speeds of 64 to 95 km and hour (40 to 60 mph). The next phases of testing will take place later this year in the form of airborne captive carry tests, where an Erickson Skycrane helicopter will fly the fuselage around to see how it holds up. Approach and Landing Tests (ALT) will follow to check the aerodynamic handling, which will consist of atmospheric drop tests in autonomous free flight mode. It’s not outfitted for orbital flight. 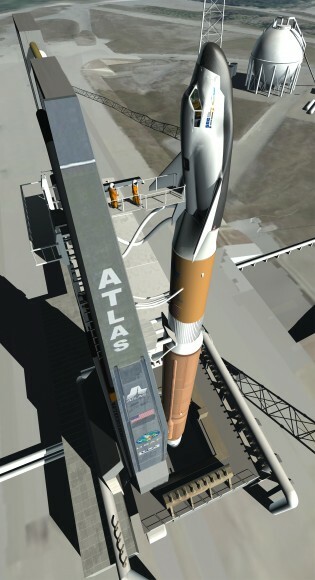 It is outfitted for atmospheric flight tests. The best analogy is it’s very similar to what NASA did in the shuttle program with the Enterprise, creating a vehicle that would allow it to do significant flights whose design then would filter into the final vehicle for orbital flight. 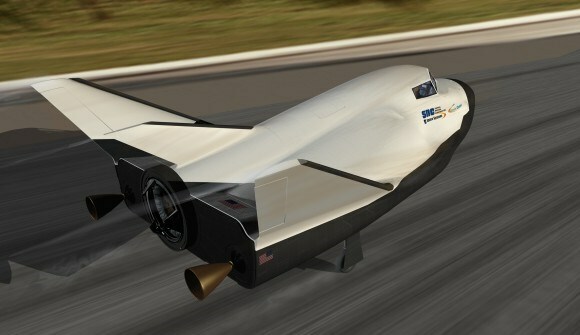 In short, the Dream Chaser has a long way to go, but the program shows great promise. And as already noted, they are not the only ones benefiting from this public-private agreement that seeks to develop commercial vehicles for the sake of kick starting space travel. Other companies include Boeing and SpaceX, companies that were also awarded contracts under NASA’s Commercial Crew Integrated Capability Initiative, or CCiCap. All three have their own commercial vehicles under development, such as the Boeing CST-100, SpaceX’s Dragon, which are similarly designed to bring a crew of up to 7 astronauts to the ISS and docking with it for up to 6 months. But of course, everything depends on NASA’s approved budget, which seems headed for steep cuts in excess of a billion dollars if a Republican dominated US House has its way.This is the third contract in NASA’s Phase 1 CCiCap contracts, who’s combined value is about $1.1 Billion and runs through March 2014. Phase 2 contract awards will eventually lead to actual flight units after a down selection to one or more of the companies. 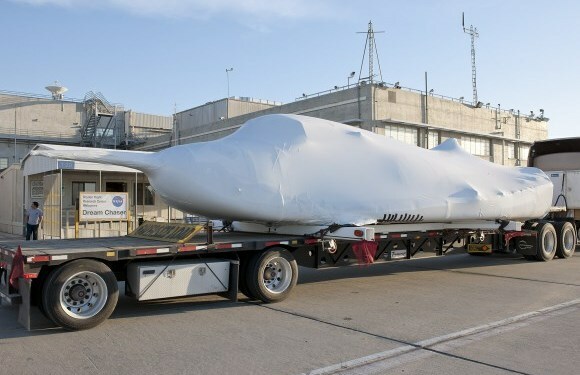 The first orbital flight test of the Dream Chaser is not expected before 2016 and could be further delayed if NASA’s commercial crew budget is again slashed by the Congress – as was done in the past few years. NASA centers around the country paved the way for 50 years of American human spaceflight, and they’re actively working with our partners to test innovative commercial space systems that will continue to ensure American leadership in exploration and discovery. And I for one wish NASA luck. Lord knows thirty-years of post-Cold War budget cutbacks hasn’t been easy on them. And hitching rides into space above Cold War era rockets is not the best way of getting your astronauts into space either!